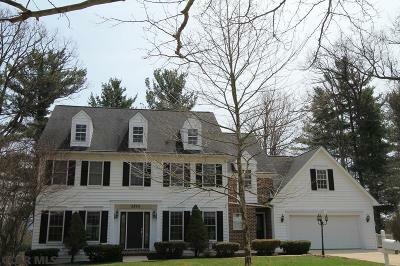 This stunning Colonial in Chestnut Ridge is sure to please! Space abounds with 4 bedrooms and 3.5 baths. The state of the art kitchen features beautiful cherry cabinets, stainless steel appliances, granite countertops and a convenient eat-in area. Throughout you'll find cherry hardwood floors, imported Italian tile and handcrafted mosaics. Beautiful columns with arch, a cozy stone fireplace and scenic views make this property unique and timeless. With a great floorplan and plenty of space to entertain, you'll find so much to love about this property. Directions: Chestnut Ridge To Right On Summersweet, Right On Oak Leaf To Red Oak.